50) Bridging The Gap Between Clinical and Non-Clinical Simulation Technicians – Guest author Lisa Schwaberow wrote in this helpful piece to assist Sim Techs who need to gain more medical knowledge. After explaining the benefits to hiring a tech without a clinical background, Lisa reviews some handy ipad apps to help those with technical experience gain more healthcare knowledge. Lisa is looking for a new Sim Tech position and is willing to relocate if you are looking for a great simulation champion! 49) TeamSTEPPS Online Master Trainer CE Course Now Available for FREE – The “Team Strategies and Tools to Enhance Performance and Patient Safety” 2.0 Online Master Trainer Course consists of 11 modules, 8 of which offer continuing education (CE) credits. Learners in a cohort or noncohort group completing the full course of all 11 modules and a coaching session with a TeamSTEPPS Master Trainer (also known as a teach-back session) not only receive CE credits, but can also receive certification as a Master Trainer. 48) INSPIRE Provides Free Pediatric Simulation Support Community – The International Network for Simulation-based Pediatric Innovation, Research, and Education is a rapidly growing, open research network designed to connect and mentor experts and novices across the world in answering important questions on pediatric care through the use of simulation. Learn more about their workshops at IMSH & IPSSW. 47) MEdSim Magazine Advances Patient Safety Through Education and Training – MEdSim Magazine is written by professionals in medicine, simulation and training who are recognized leaders with a lifetime of experience which addresses the needs of medical practitioners, educators, and academicians around the world. 46) Hemoulage: A Review of TrueClot Blood Simulant by Reader Will Enfinger – Read this comprehensive use-test review of clotting blood moulage product “TrueClot” from Luna Inc.
45) Simulation Moulage: Should You Be Using It? – From Moulage Expert Bobbie Merica, an introduction and reasons behind utilizing moulage in your medical simulations. Also, check out Theatrical Blood Effects Part 4, From MilitaryMoulage.com– Part 4 of MilitaryMoulage.com’s article on Theatrical Blood Effects for Realistic Casualty Simulation has been released. Here, moulage experts from the website share a few extra blood makeup tips, including how to “release” effects at the right time using Squibs and pumps. 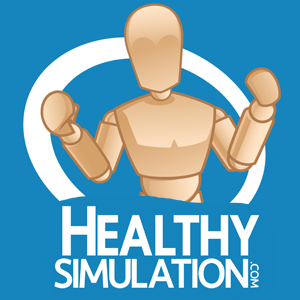 44) HealthySim Youtube Channel Crosses 50,000 Views! – To highlight this achievement I have shared here the top “most watched” videos from our channel, which covers healthcare simulation product demos, conference interviews, tutorials and more! 43) “New Validation for Simulation Education” ANA Article from INACSL VP Lori Lioce – Article covers the continued evolution of healthcare simulation, the recent NCSBN landmark research study results, and the INACSL standards — all of which are helping to support the increase of simulation in healthcare education. 42) Cedars-Sinai Women’s Guild Simulation Center For Advanced Clinical Skills Empowers Team to Achieve Legendary Vision – Learn how this team’s dedication to vision has created one of the most realistic sim centers I have ever seen. 41) SimSpaces Affordably Increases Medical Simulation Lab Fidelity – Learn how you can quickly apply these printed canvas styled papered wall coverings to quickly add fidelity to your simulated learning environments. 40) Timothy Clapper PhD Articles on TeamSTEPPS Communication Training Opportunities for Medical Simulation Programs –Links to: TeamSTEPPS: The patient safety tool that needs to be implemented., Why your TeamSTEPPS program may not be working & Next steps in TeamSTEPPS: Creating a just culture with observation and simulation. 39) NAEMSE Plenary: Laerdal Supported Research Study of Simulation Education in EMS – Learn some of the results from Phase I of this landmark study conducted by the National Association of EMS Educator Research Committee. 37) Video of U.S. Government Subcommittee Hearing on 1000+ Lethal Medical Errors a Day – This two-hour recording is a must watch for those interested in furthering the use of medical simulation to improve patient care and reducing medical errors. 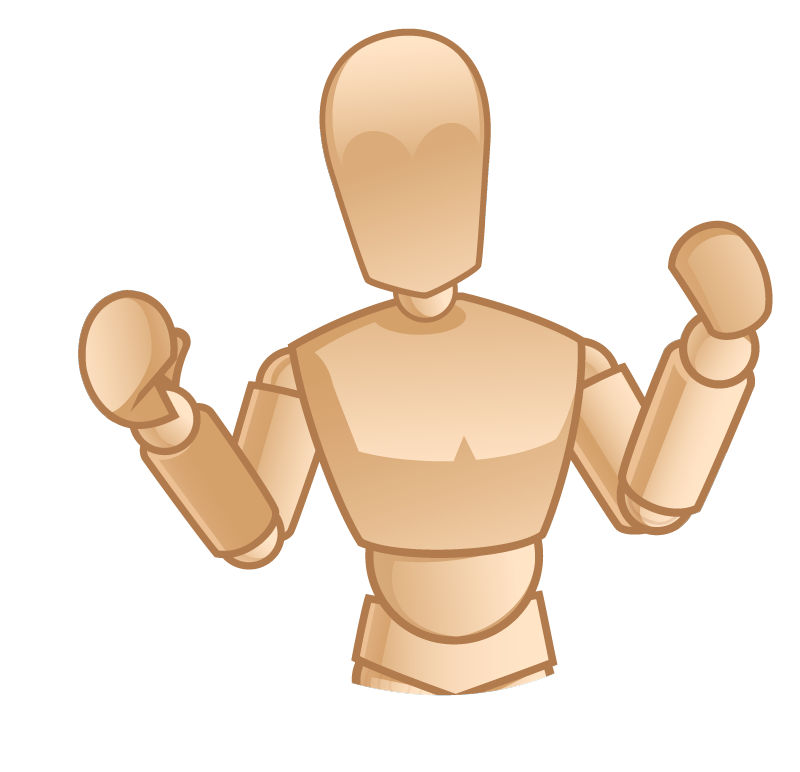 36) Simulated Patient ‘Allergic to Ink’ Warning Sign, Download to Save Your Manikins – Will Enfinger, Simulation Specialist at Des Moines University, has created a nifty “Allergy Warning Sign” which simulation champions can use to help prevent ink stains from learners. 35) Fidelis Maternal Fetal Simulator From CAE Healthcare at IMSH 2014 Video Interview Part 1 – CAE Healthcare unveiled Fidelis, their state-of-the-art maternal fetal simulator at IMSH 2014. In part 1 of this video interview with Pam Azevedo, CAE Healthcare Product Manager, we explore the key connection between CAE Healthcare simulation divisions and parent company CAE Aviation divisions – including expanded engineering opportunities. This has lead to a complete overhaul of the engineering design of manikin features, with CAE Healthcare’s first high-fidelity birthing simulator being Fidelis! 34) Fidelis Maternal Fetal Simulator IMSH 2014 Interview Part 2: Advanced Engineering – Unique to CAE Healthcare is the ability to pull from the years of experience manufacturing some of the world’s leading aviation simulators. You can really see the attention to engineering detail and streamlined design of the Fidelis by seeing her in this video! 33) Simulation in Healthcare Education: A Best Evidence Practical Guide – Dr. Barry Issenberg, Director of the Gordon Medical Simulation Center at the University of Miami Miller School of Medicine and co-author of AMEE Guide #82 “Simulation in Healthcare Education: A Best Evidence Practical Guide PART-2” reminds us here of the importance of considering the practical implementation of medical simulation. This article is FREE to download! 32) Developing a Strong Simulation Operations Team – A poster entitled “Super Technical Teams: Continuing Professional Development to Support Sim Ops” from IMSH 2014 by Nicole Jones de Rooy, who works for the School of Medicine’s Simulation Program at Australia’s Griffith University is now available for download! Learn what it takes to improve simulation working relationships and continue staff development. 31) First Ever Practicum Week of Drexel University MS in Medical Simulation Program Deemed True Success – One of the unique features of the MSMS program at Drexel is the heavy focus on being interprofessional and the projects were required to have a variety of professional roles. Learn more about this new MS program that was called by one student “Quite simply, this was by far the best, most outstanding educational event of my career”. 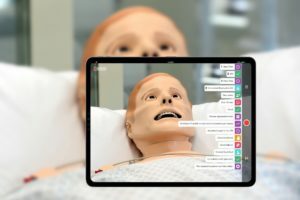 30) Sheffield Hallam University Uses Augmented Reality to Increase Manikin Fidelity – Sheffield Hallam University was recently featured on BBC news for their augmented reality system which increases realism of stagnate simulators by overlaying recorded standardized patient videos on top of the manikin. This is a step in the right direction towards increased fidelity for patient simulator engagements. Because this is such an innovative project, I have added several links in this article to additional information. 29) Do You Charge for Sim Center Tours? A LinkedIn Discussion – A great conversation took place in the SSH LinkedIn Discussion group regarding tours of Simulation Spaces. Fritz Sticht, Administrative Director at Behling Simulation Center, asked “we are constantly getting requests for tours and I am wondering how to justify attaching a fee to such requests. As you know these tours take up time and center resources. Thanks for your input.” Check out the many interesting responses, including my own! 28) Pole Mountable Power Supply From Pocket Nurse – Sim Techs rejoice! More power is now quickly and easily available through Pocket Nurse! How cool is this pole mountable Power Strip to enable you to quickly bring in more equipment to specific areas without needing to lay down multiple cords and take the time to tape up floors. Thanks to Pocket Nurse you can now bring one cord in and attach power where you need it with this iv-pole attaching power strip. 26) Gordon: “Some Physicians Continue to Ignore Learning Opportunity From Aviation Simulation” – Suzanne Gordon, author of Beyond the Checklist: What Else Can Healthcare Learn from Aviation Teamwork and Safety, recently wrote up an article entitled “…just two guys in a box” – Really?” which focuses on her frustration when healthcare physicians criticize the training take-aways from aviation without true understanding. “As we have gone around the country discussing our book, we have been struck by the number of people who insist that healthcare has little to learn from aviation because the two enterprises are entirely different. Critics suggest that healthcare is far more complex than aviation even though they have no experience in that field. 25) “VIRTSIM” From Motion Reality Provides Virtual Reality Physical Environment Simulator – Learn about VIRTSIM, where trainees are fully immersed “head-to-toe” in training scenarios requiring the execution of basic individual maneuvers, complex unit tactics, and mission rehearsals. They are able to train as individuals, in teams, or in full squads. Trainees have complete freedom of movement to run, jump, or crawl throughout the full volume (up to 5,000 square feet – equivalent to a basketball court), unrestricted by wires or tethers. The VIRTSIM system allows training in a range of reconfigurable environments. 23) Low Cost & Low Resource Healthcare Simulation Group – Kam McCowan, Paramedic Intern & Simulation Technology Specialist, recently started a new website dedicated to promoting Low Cost & Low Resource Healthcare Simulation program and simulator development. Are you interested in highlighting your work with or supporting the development of low cost or low resource simulation program or equipment? Then you must stop by! 22) Medical Simulation Research Article: Using Simulation to Develop Handover Skills – This article outlines the potential impact of ineffective handover skills on nurses’ confidence, competence and coordination, as well as on patient safety. 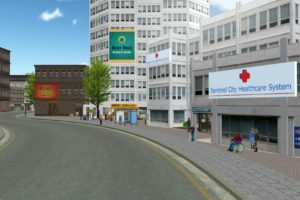 It focuses on how student nurses can develop their communication skills by looking specifically at how the University of Derby used simulation to teach pre-registration student nurses effective handover techniques. 21) iSimulate ALSi Patient Monitor Continues to Innovate Healthcare Simulation Space – During IMSH 2014, iSimulate’s CEO Peter McKie introduced me to all the latest updates for their patient monitoring system, which can dramatically increase the realism of your low-fidelity manikins or standardized patients. With the option to purchase an ongoing licensing agreement, users can take full advantage of all these recent updates and those still yet to come. Also in this article is a link to our comprehensive product demonstration using iPad captured video. 20) “Bedside Manners” Play DVD and Workbook Help Demo & Teach Healthcare Communication Issues – Bedside Manners is a play, recorded dvd, and workbook designed to improve effective communication between healthcare professionals. Past participants have reported that its use enhances on-going efforts to reduce medical errors and injuries and helps to improve teamwork and workplace civility. This has resulted in improved patient safety and care! This is a must watch training tool for all healthcare educators! 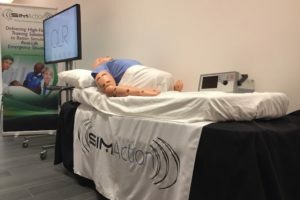 19) SIM-one Offers Simulation Certificate Training Courses – MASCS (Mastering the Artistic Side of Clinical Simulation) is a certificate program that focuses on the creative and psychological elements required to bring simulations to life, enhancing fidelity and increasing learner engagement. MASCS introduces the use of best practice principles and techniques developed in many fields that can be used for enhancing health professions education. This program is designed to help mentor and support participants in developing their careers in the exciting field of healthcare simulation, with the opportunity to become a SIM-one Simulationist. 18) What’s in a Name? 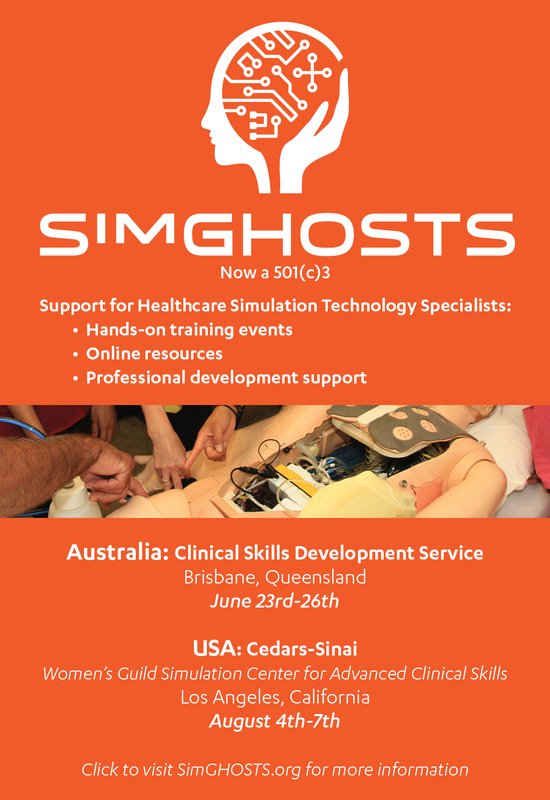 The Many Titles of “Sim Techs” – I exported the titles of those attending SimGHOSTS 2014 USA to demonstrate what a dynamic range of titles this profession currently entertains. Find out which title has the most frequency! 17) Performance Analysis Results When Teaching with Simulated EHR – Does training with simulated EHR increases learning outcomes? Read this abstract posted on the The National Center for Biotechnology to find out the results of the study. 20) 5 Mistakes To Avoid When Selecting Medical Simulation A/V Systems, From CAE Healthcare – CAE Healthcare just shared these top tips on their company blog. Covered here are the people, equipment, schedules and concepts necessary to be successful with your A/V system selections. 19) Learn More About NYIT MS in Medical / Health Care Simulation at IMSH – Have you considered a masters degree in Medical Simulation? NYIT is ahead of the curve with the world’s first MS in Medical / Health Care Simulation. If you are attending IMSH, Anthony Errichetti, Ph.D., Director of the Medical Simulation MS Program will be on hand at IMSH Booth #334 starting Sunday! Stop by their booth #334 to talk with Tony about the program! 18) Cardionics Offers Big Discounts on their Auscultation Manikins – Cardionics products range from Simulation & Education to Clinical FDA approved devices being used in diagnostic and tele-health fields. 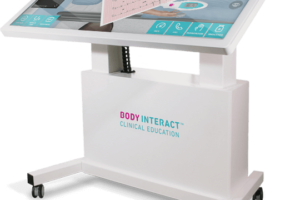 For over thirty years, Cardionics has been an innovator and leader in auscultation products and services which facilitate and support classroom education, clinical, and tele-health programs in medical institutions and universities throughout the world. 17) Recorded EMS Webinar: How to Affordably Expanding Your Simulation Staff by HealthySim Founder – Sign up with EMS for this and other free recorded webinars. Expanding your sim lab technical staff is a must for short and long-term simulation program success. This session will explore why hiring a Sim Tech is such a crucial step toward increasing simulation lab operational efficiency and learning quality. Maximize your budget through staff analysis of your technology-based simulation lab and then learn how to increase simulation staff in cost effective steps with proven techniques! 16) ‘True Plastic Surgery’ Blog Talks Sim Tech Shop – Looking for more great content for simulation technicians? At SimGHOSTS Australia I ran into Cyle Sprick who was shares his impressive DIY projects on this blog. Click here to sign up for our free Sim Newsletter! 15) Free Simulation Faculty Training Tools & Scenarios from UW– This website is intended to be a resource for faculty and clinical educators and students with online modules teach the latest technologies and techniques for designing and enhancing an e-learning course, designing and implementing simulation in your curriculum, using telehealth to enhance communication, using informatics to manage and communicate data, learning team communication strategies and more. 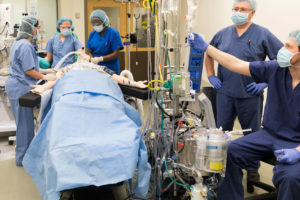 14) Drexel University Offers New Graduate Program in Healthcare Simulation – The Drexel University College of Medicine Graduate School of Biomedical Sciences and Professional Studies recently launched a new graduate program offering a Master of Science Degree in Medical and Healthcare Simulation. This unique program offers advanced training to healthcare professionals to prepare them to teach others how to care for patients in simulation practice environments rather than practicing on patients. 13) Simulation Pioneer Passes Away – SSH President Pam Jeffries announced earlier this month that Dr. Stephen Abrahamson passed away at the age of 93. Watch this video interview from the Simulation Innovation Award’s held at IMSH 2014. 12) Joint Commission Journal Publishes “Eight Critical Factors in Creating and Implementing a Successful Simulation Program – The eight factors–science, staff, supplies, space, support, systems, success, and sustainability–represent a synthesis of the most critical elements necessary for successful simulation programs. The order of the factors does not represent a deliberate prioritization or sequence, and the factors’ relative importance may change as the program evolves. Read this free article to learn how these eight factors can create program success. 11) Clinical Skills Lab Coordinator Standard Operating Procedures Example – Here is the downloadable SOP for the Lab Coordinator responsible for: Managing supplies, coordinating with faculty regarding skills lab setups, managing volunteers and student workers, skills labs signups, lab setups/teardowns, task trainer maintenance, utilization tracking and storage. (Sim Tech SOPs linked there as well). 10) The National Council of State Boards of Nursing Releases Results of National Simulation Study – This three year study found that up to 50 percent simulation was effectively substituted for traditional clinical experience in all core courses across the prelicensure nursing curriculum, and did not affect NCLEX pass rates! Click to read the full study. 9) Eight Video Sessions Covering Sim Lab Management ‘HealthySimAdmin’ Now Free for HealthySimulation.com Subscribers – Subscribers to the free HealthySim newsletter can now get access to the fifteen hours of HD recorded content from HealthySimAdmin, a 2-day recorded event which brought administrators from a dynamic range of programs together to discuss the “how to” of medical simulation administration. 8) Why Do Healthcare Simulation Programs Hire Sim Techs Without Technical Backgrounds? Avoid this #1 Simulation Hiring Mistake! – Recently I received an email from a HealthySim reader who wished to remain anonymous regarding a concern that medical simulation programs seem to lean towards hiring Sim Techs for clinical experience rather than technical experience. This article response highlights a major community misunderstanding which a lot of my efforts have been geared towards correcting. to this article from the community, so I would highly recommend catching up with this conversation – There has been a huge number of responses in support of this argument so read how to help your program avoid future hiring mistakes! 7) Example of Simulation Lab Faculty, Staff and Learner Roles & Responsibilities Breakdown – Download these example guidelines which were created in-order to maximize the results of simulated learning experiences, which we know require the coordination of many ‘moving parts’. 6) Standard Operating Procedure Guides for Simulation Technician Positions – Here are two SOPs, or Standard Operating Procedure, manuals that we built at the Clinical Simulation Center of Las Vegas in case we ever needed to train someone new to those positions. I tasked the staff with creating and annually updating their job descriptions AND these SOPs — so that if the role switched to another individual they would have a head-start on the responsibilities, and a guide on how to complete them! 5) Free ECG Simulator Game – James Cypert forwarded along a great 6-second ECG Simulator game where healthcare learners can practice identifying one of 27 most common rhythms.  SkillStat provides the web version free to play online now! 4) SimGHOSTS Holds 4th Annual Simulation Technology Hands-On Training Event to 220 Participants – A four day event, the 4th annual Gathering of Healthcare Simulation Technology Specialists was the second meeting the non-profit 501(c)3 organization put on this year following its first-ever Australia event which took place a month ago at the University of the Sunshine Coast. Read the highlights here and learn more about their 2015 training events around the world! 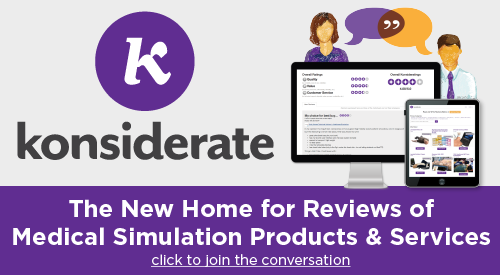 3) Konsiderate “Yelp Like” Medical Simulation Product Review Website Partners with Leading Industry Vendors – Learn why top vendors want to hear your simulation product and service feedback through Konsiderate’s validated peer review website. Get access to hundreds of medical simulation product reviews and share your own on this new website which launched in January of 2014. 2) The Ultimate Job Guide to Healthcare Simulation Technology Specialists – Summary of TOP articles covering the topic of Sim Tech position descriptions, responsibilities, hiring, career development, administration, training and more. 1) Free Medical Simulation Scenarios – I have previously shared several articles on where to get free clinical simulation scenarios, which I link in this article as well as update you with even more free online resources for clinical simulation scenarios. HealthySim’s Top 10 Most-Read Medical Simulation Articles Of All Time! – Here is a list of the most read articles from the website since it began in 2010. All the best is here from free nursing simulation scenario databases to moulage recipes, best of the year recaps, sim tech hiring practices, simulation job listings as well as Simulab, Laerdal, and CAE Healthcare videos! 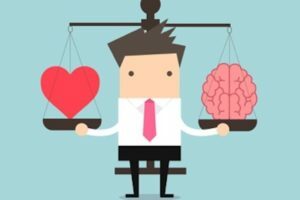 Must read and must share article! HealthySim’s Top 50 Articles of 2013 – Another comprehensive list of the best of HealthySimulation.com news from the previous year. Finally, be sure to subscribe to our Free Newsletter to get all the best of HealthySimulation in 2015 and beyond!